Book Description: This Open Educational Resource (OER) brings together Open Access content from around the web and enhances it with dynamic video lectures about the core areas of theoretical linguistics (phonetics, phonology, morphology, syntax, and semantics), supplemented with discussion of psycholinguistic and neurolinguistic findings. 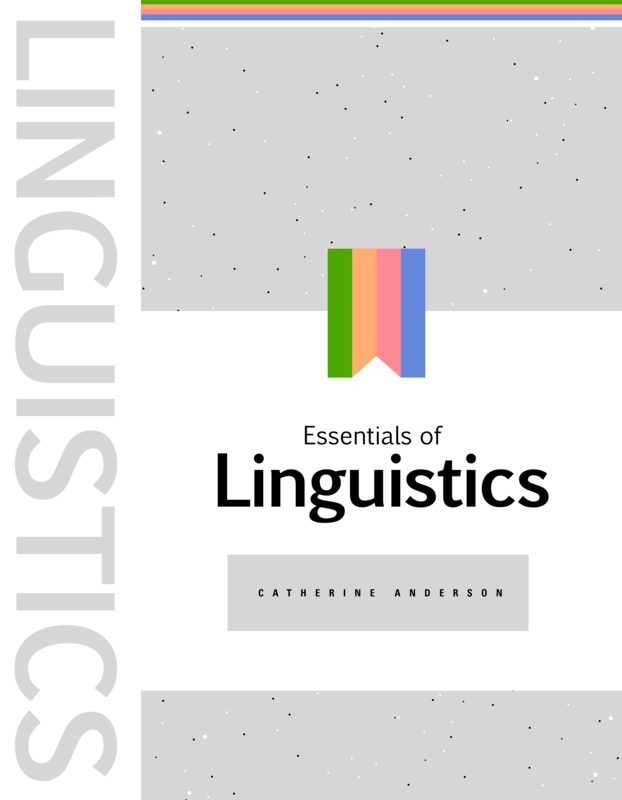 Essentials of Linguistics is suitable for any beginning learner of linguistics but is primarily aimed at the Canadian learner, focusing on Canadian English for learning phonetic transcription, and discussing the status of Indigenous languages in Canada. Drawing on best practices for instructional design, Essentials of Linguistics is suitable for blended classes, traditional lecture classes, and for self-directed learning. No prior knowledge of linguistics is required.